from april 6 to june 5.
art opening and artist talK: Sat. April 6, 2:30 - 5pm. Come enjoy her paintings and the featured interactive TreeBook! Installed: January 2019 to march 2019. The Amphibian Foundation displayed photographs of endangered amphibians. Installed: December 2018 to January 2019. Installed: September to december, 2018. Installed: July to September, 2018. Installed: March to May, 2018. Mixed Media is Rehg's art method of choice. Her abstracted works on paper and canvas are characterized by a lyrical use of line, color and composition, presenting both recognizable forms and abstracted shapes that play with the viewer's perfection of the artwork. Helen DeRamus and Sally Eppstein take a closer look at the longleaf pine ecosystem's new life and rejuvenation after the burning of the forest. Longleaf Pines covered most of the southeast with up to 90 million acres but now is reduce to 3% of the original forest. Joel Conison continues his series of birds in portrait series, this time with a local focus. No matter where you reside, you will come across songbirds. 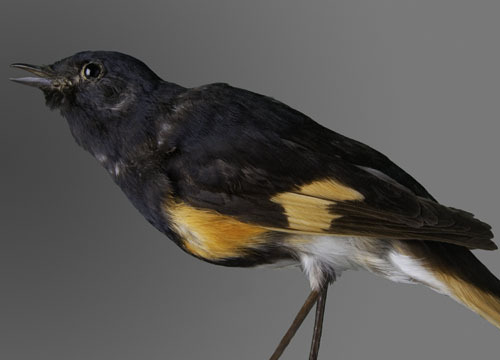 Sadly, many species of songbirds are under environmental stress, particularly those that migrate. Their habitats are shrinking and often causing a decrease in population. Tim Hunter uses the term "Icon" to refer to religious figures or symbols that are often depicted with a surrounding background of gold, the gold symbolizing a spiritual radiance. In this series, he has represented birds in place of traditional, religious images, and in doing so has made them symbolic of spiritual representation. Many of the birds depicted are in decline, and in representing them as Icons, he emphasizes the spiritual aspects of nature. Shared Visions is a show featuring Donna Horn and Kate Colpitts's abstract landscapes. Work by artists who photograph the natural world and use it as a starting point for their personal visions. Presented by The Blue Heron Nature Preserve and the Women’s Caucus for Art of Georgia. Learn more about Pam on her website, or her drifters blog. Pam will forever change the way you think about plastic! Women's Caucus for Art of Georgia’s Hidden Gem/Haven Show celebrates what the Blue Heron Nature Preserve, the hidden gem/haven, does to protect the natural habitats in the high density neighborhood of Buckhead, Atlanta, GA. Nature Studies: Up Close and Far Away reflects observation of the natural environment. We see vistas and panoramas when we drive through the countryside, walk along a forest path, hike in the open air. We see details when we stop to look at closer range. Both perspectives are of interest to me. The "far away" paintings are done from photos taken during my walks in Washington state. The landscape and climate are so different from what we are used to in Georgia. I wanted to paint my impressions of that area. The "up close" paintings are done from photos taken during my walks in the neighborhood in Atlanta. I look down and see moss growing on stepping stones, stone walls, along curbs. When the view is up close, the perspective changes, as paintings they become like aerial landscapes. These paintings are not about duplicating a photograph. The photo is a point of reference only. The aim is to capture the vision, the moment; and process it through a personal filter. Exhibit dates were extended for this beautiful show, which ended September 2012. As summer 2012 came to a close and the plant world slipped into sleep mode, we welcomed Diane Evans’ beautiful images of SEEDS to the Blue Heron Gallery. 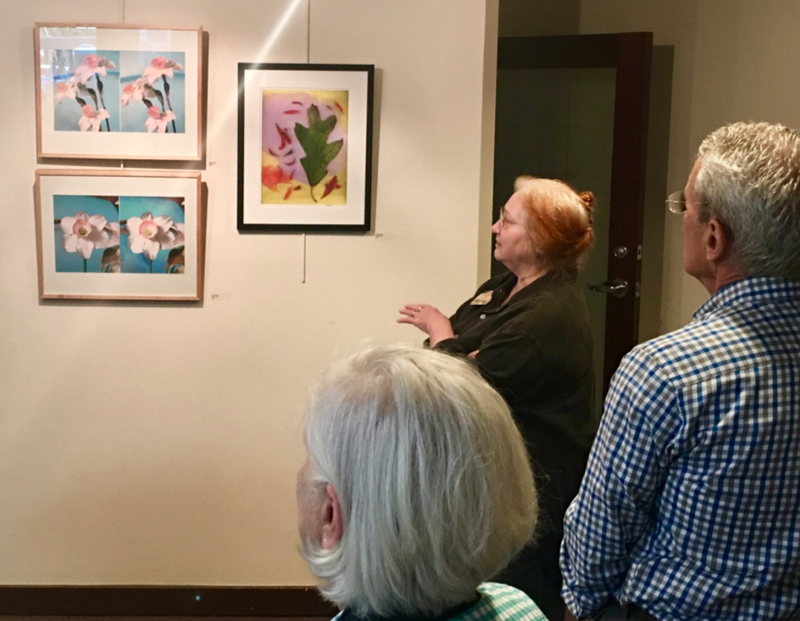 Rich images of intricate seed pods and fronds carefully executed in mixed media, collage and paint were exhibited. This show ended December 31st, 2012. The winter winds of 2011 ushered in the work of San Francisco photographer Sharon Beals to the Blue Heron Gallery, which ended in May 2012. Sharon spent 3 years photographing archived bird nests in natural history and zoological museums in California. This was a rare chance for the public to take a peek at these fabulous nests as the collections were only open to the scientific community. Sharon’s photographs are spell binding, reflecting the rich, beautiful nest making ability of birds the world over.